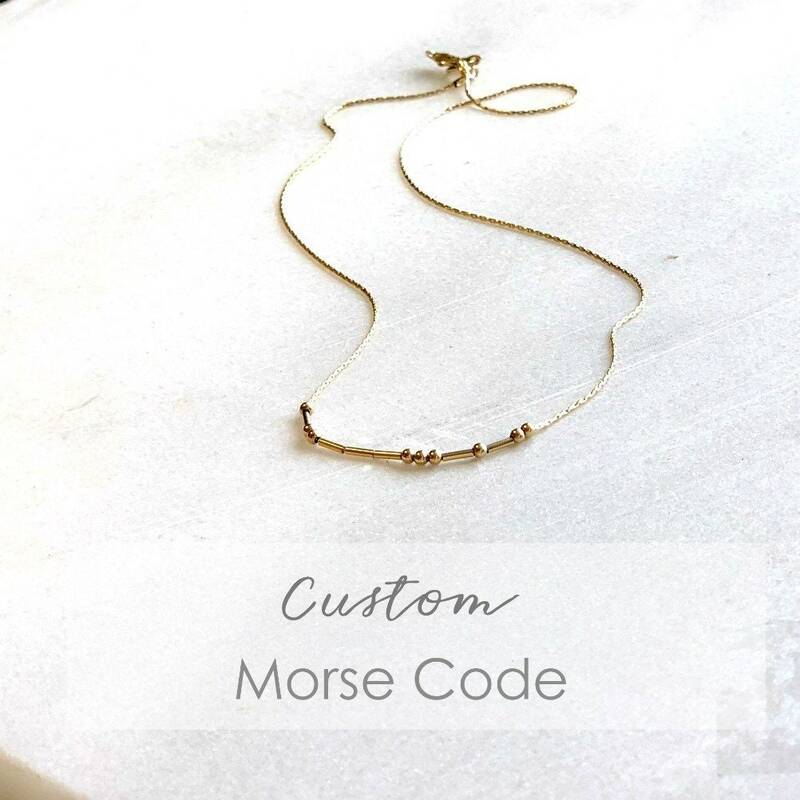 Meaningful and elegant, our delicate Morse Code necklace is available in sterling silver or 14kt gold filled. 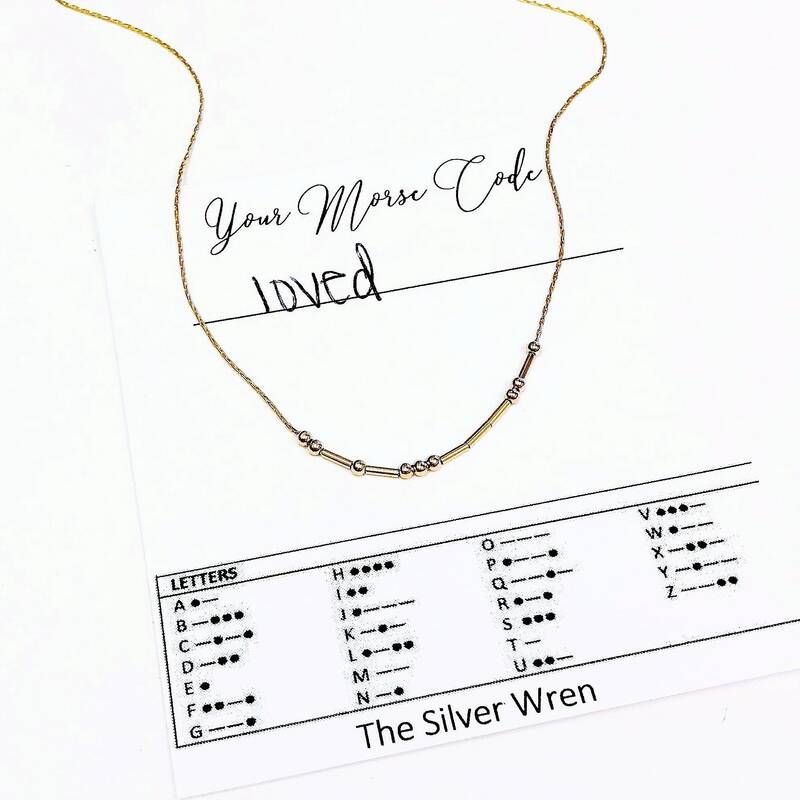 It's the perfect way to wear or gift that special word or name. 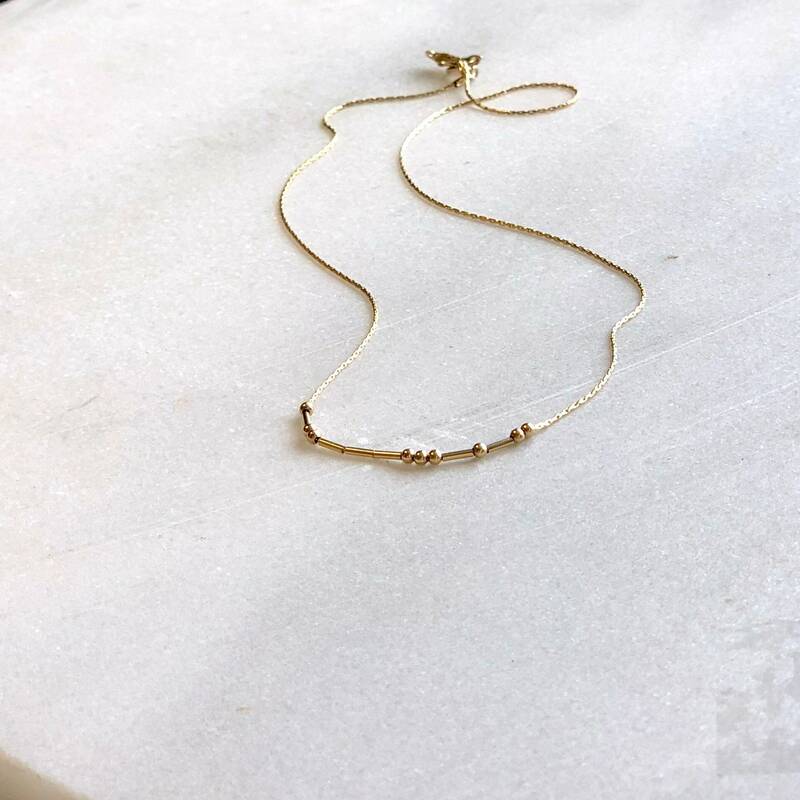 - A high quality delicate link chain with a premium clasp. - Necklace chain and beads are high quality 14kt gold filled - not plated. Love this necklace. 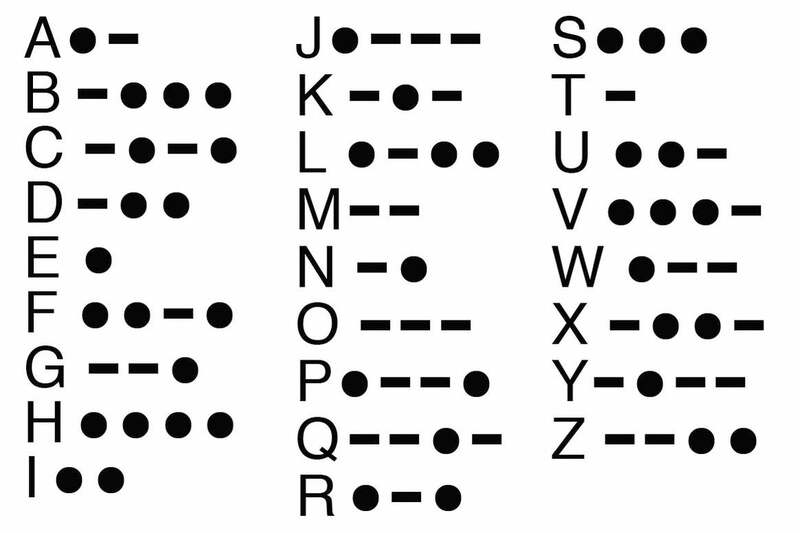 It’s so simple but says so much. My daughter loved it!! Fast service and very helpful personnel. Such a fun gift idea! Love the uniqueness and the quality. I got this for a friend who just had a baby and she loved it.